As many of you know, today marks the 50th anniversary of the March on Washington, and the “I Have A Dream” speech. 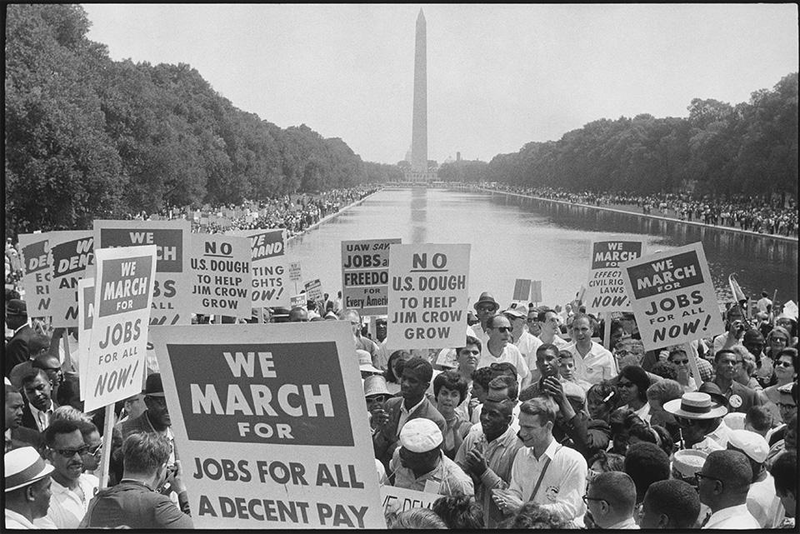 On August 28, 1963 large groups of civil rights, labor, and religious activists descended upon our nation’s capital to rally for job and education equality for all, regardless of race. At that rally, a clergyman and activist by the name of Dr. Martin Luther King, Jr. addressed a crowd of thousands with a speech calling for the end of racism in America. To this day, the march is widely credited with helping to pass the Civil Rights Act (1964) and the Voting Rights Act (1965). While America continues to make great strides towards equality for men, women, and children - regardless of race or gender - we pause to remember the framework laid 50 years ago today by Dr. King and the hundreds of thousands of activists who stood in front of the Lincoln Memorial in Washington D.C.